THE NEST IS IN A WHITE OAK. THE NEST IS APPROXIMATELY 62' - 67' OFF THE GROUND. THE APPROXIMATE SIZE IS 6' WIDE BY 7' HIGH. 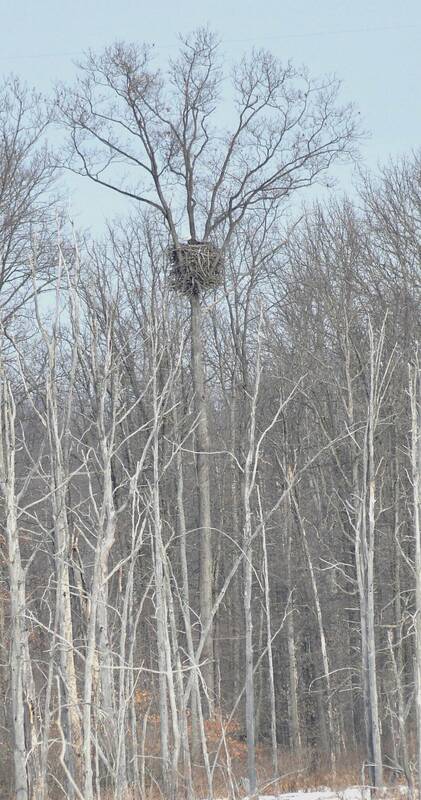 THE NEST WAS BUILT IN 2005, BY ODNR WILDLIFE DIVISION, IT HAS A FIBERGLASS BASE AND THE 1ST 2' OF BRANCHES WERE PLACED ACCORDING TO " EAGLE SPECIFICATIONS ". THE NEST REPLACED ONE THAT IS A FEW HUNDRED YARDS TO THE WEST, THAT TREE WAS FOUND TO BE DYING SO THIS ONE WAS BUILT, WITH FINGERS CROSSED THAT THE PAIR WOULD ACCEPT IT AND ABANDON THE OTHER NEST. 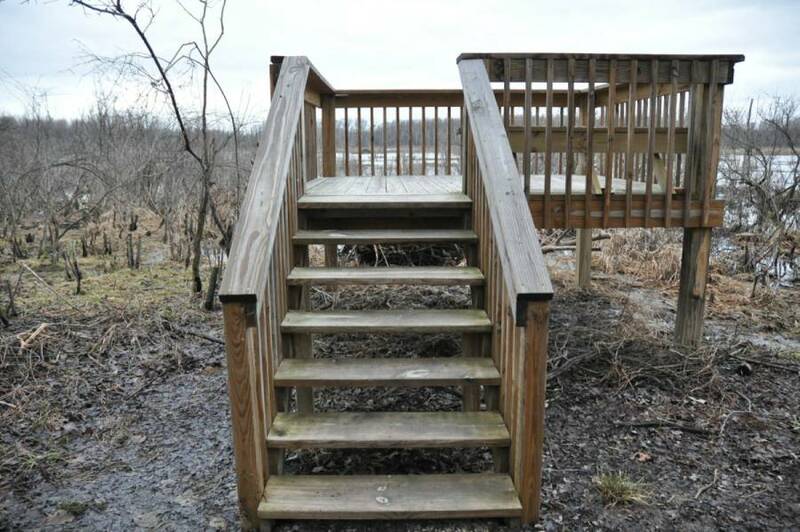 APPROXIMATE DISTANCE TO THE NEST FROM THE OBSERVATION DECK IS ONE THIRD OF A MILE.